This is a First Edition Hard Back printed in 1962. 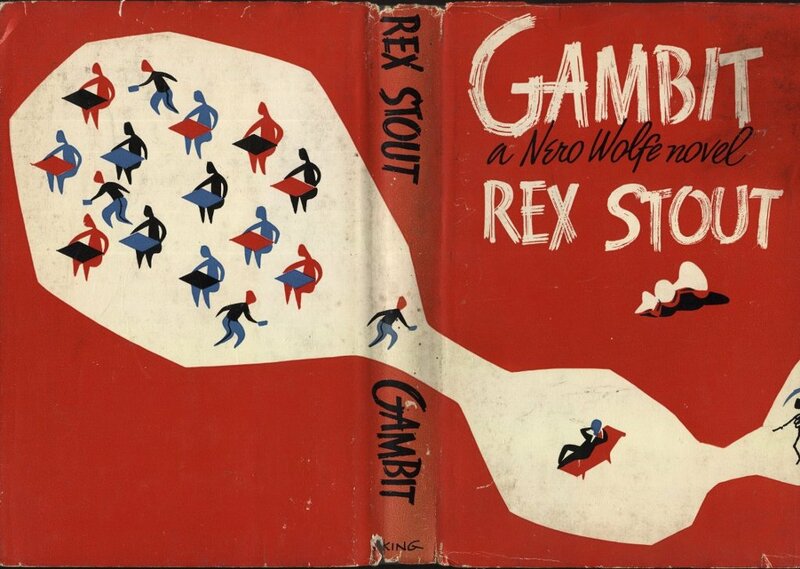 In Rex Stout’s latest full-length mystery, the victim is a mental freak-a man capable of successfully playing a dozen simultaneous chess games against first-rate players while he himself is out of sight of any of the boards. It is while thus engaged that he is killed. 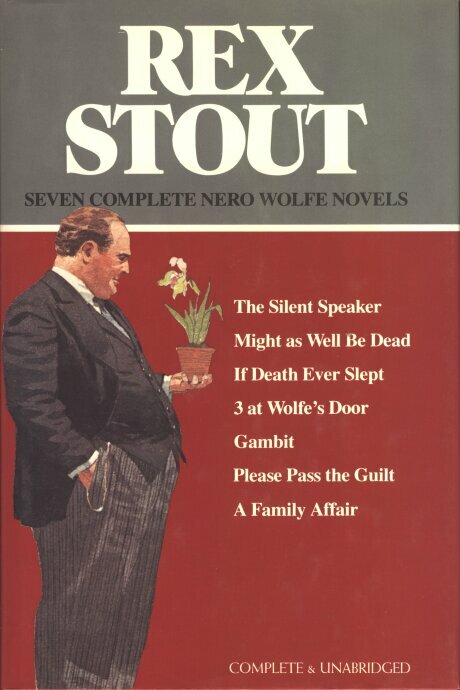 A millionaire-his opponent in more realms than chess-is accused, and Nero Wolfe is given what appears to be the most hopeless case he and Archie Goodwin have ever tackled. You need know nothing about chess to follow this tale, but some understanding of beautiful mothers and daughters will help. 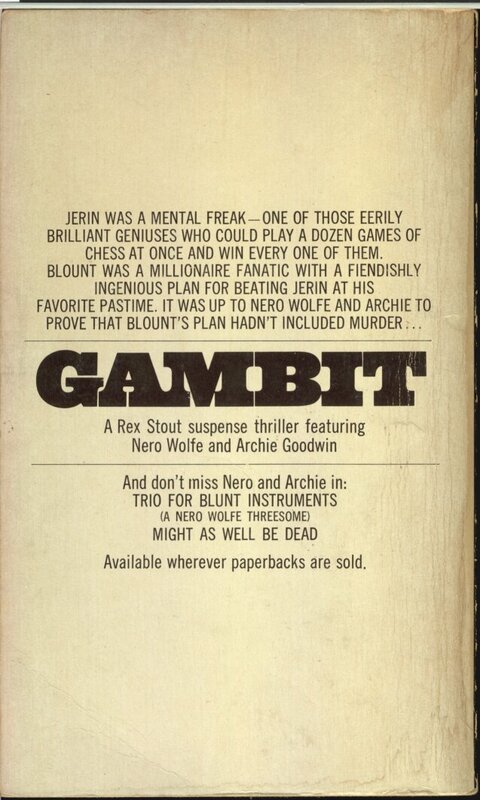 We believe that Gambit will surely be counted among the two or three finest full. 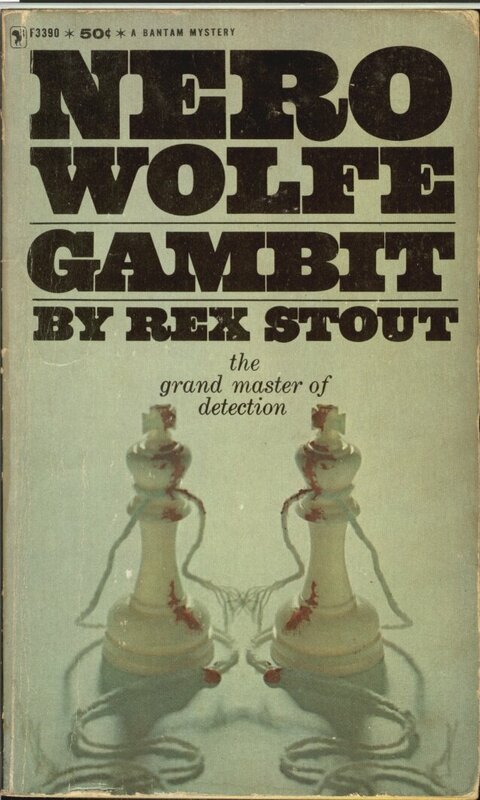 length mysteries produced by Rex Stout and, hence, one of the great works in the whole genre. THE VIKING PRESS Publishers of The Viking Portable Library 625 Madison Avenue. New York 22. N. Y.